You are here: Home / Ask an Expert / Have I Been Bit By Google Panda? 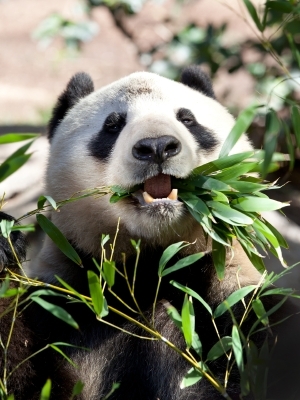 Have I Been Bit By Google Panda? Am I regularly publishing high quality, original content on my website? Would a new reader find my website content useful and engaging? As a new reader, would I trust the content that I see on my website? A negative answer to any of the questions above could spell trouble. In fact, it was these types of questions that helped to shape Google’s new algorithm, referred to as both Google Panda and Google Farmer. It’s been widely reported that nearly 12% of websites worldwide have been affected by Google’s update – the search giant’s boldest attempt yet to filter low-quality content sites (or so-called ‘content farms’) out of the highest ranking positions. Did you recently experience normal movement in keyword ranking (ie move up or down the ladder a few rankings) or a complete bottoming out? Did your trendline suddenly fall of a cliff? Do keep in mind during this self-audit that some ranking movement, and seasonal traffic decreases, are normal for any website – and are likely unrelated to any algorithm update. On the other hand, if you are seeing widespread plummeting, it may be time to explore a bit further. Honestly assess your content marketing strategy to date, and if it falls even remotely on the wrong side of this update, make plans to remove and improve.